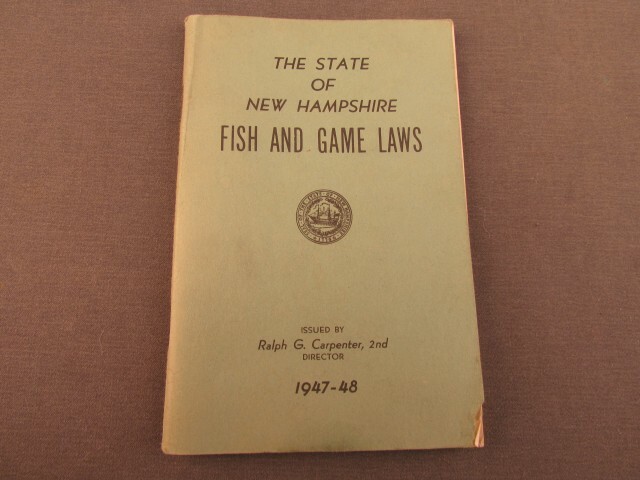 Description: This 101 page booklet lists laws, season, wardens, game and encourages sportsmanship and respect for landowners. This book is similar to the currently issued law books except prices for licenses are cheaper and bag limits are higher. An interesting hunting collectible. 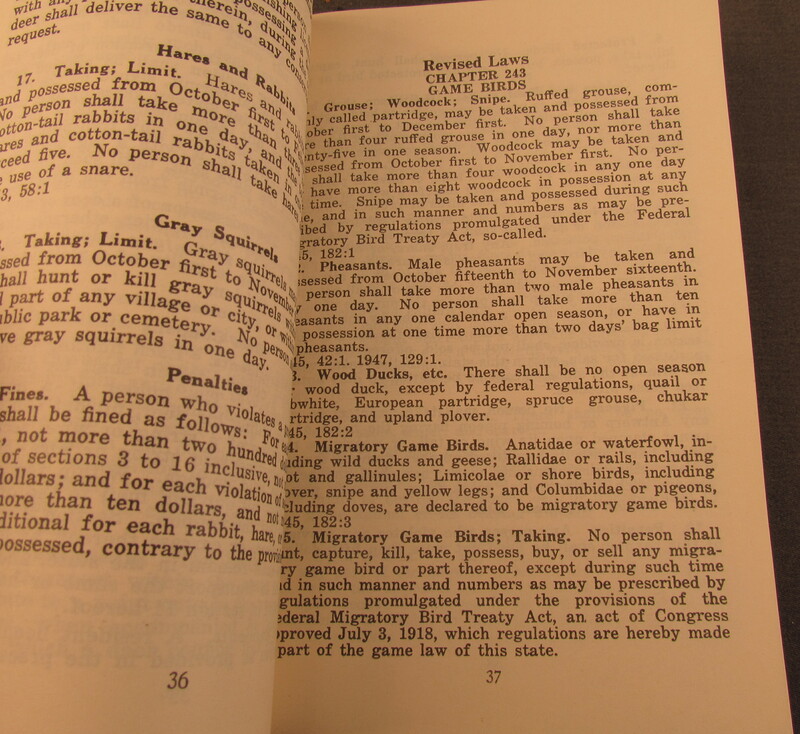 "Fish + Game laws "